Contrary to popular belief, Craters of the Moon National Monument is not, in fact, on the moon. 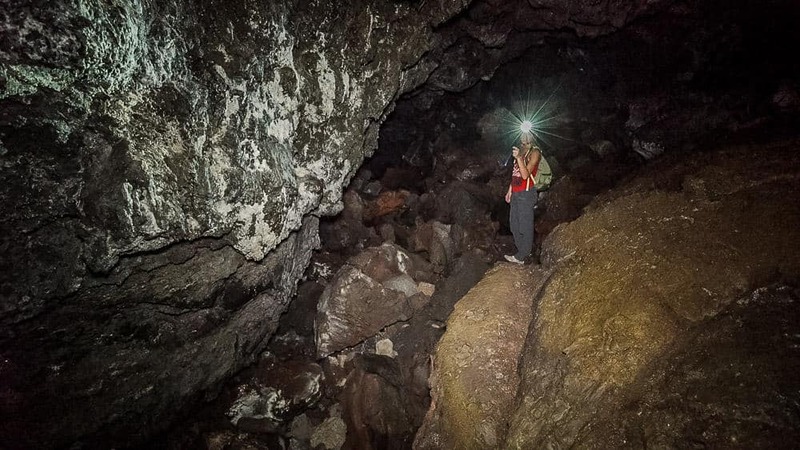 This other-worldly area offered several lava caves for us to explore on our short stop there. Caves are becoming even more of a typical adventure for us, and I’m not complaining about that! 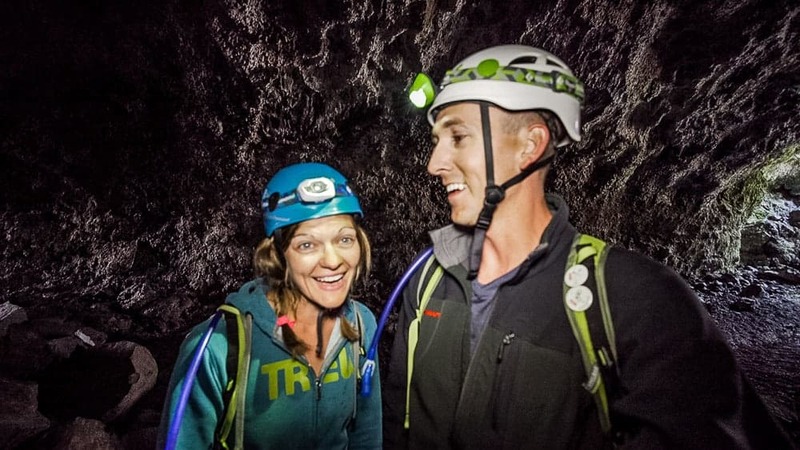 We headed to Craters of the Moon National Monument where we explored three awesome caves and one tunnel. 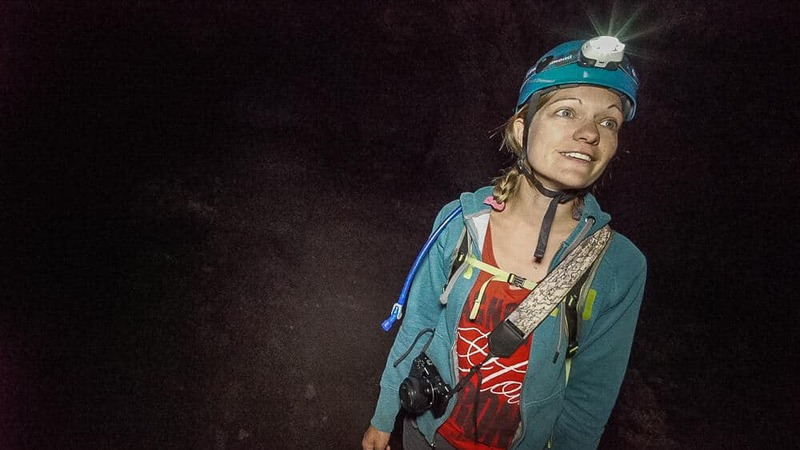 We also talked about safety gear for cave exploration in this video, so be sure to check it out. Craters of the Moon National Monument is definitely a different landscape. It reminded me of Bend, Oregon, where the lava fields created a gnarly landscape in the high desert. However, Craters of the Moon was different in the sheer quantity of lava rock across the landscape. 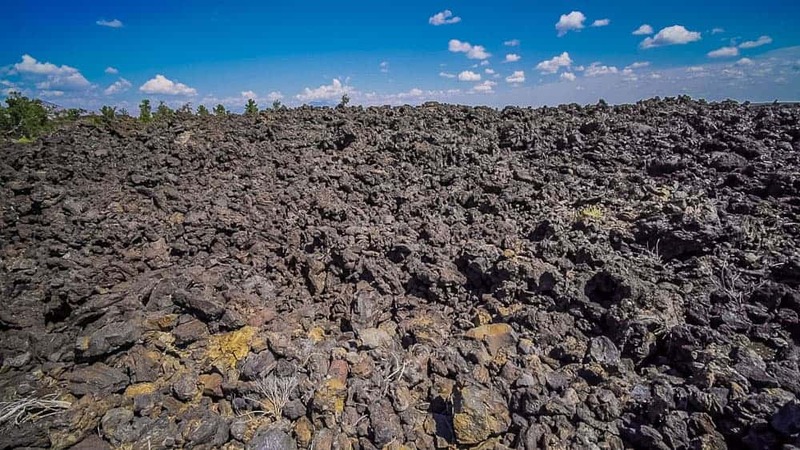 We quickly learned that the lava flows that formed Craters of the Moon are different because they didn’t come from one volcanic eruption; they formed over thousands of years of lava flowing from The Great Rift. 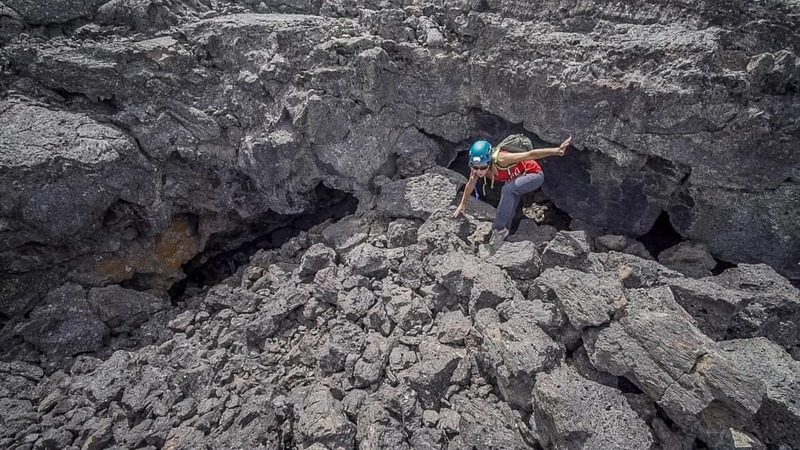 This is why the landscape is so much different than lava flows we have seen before. 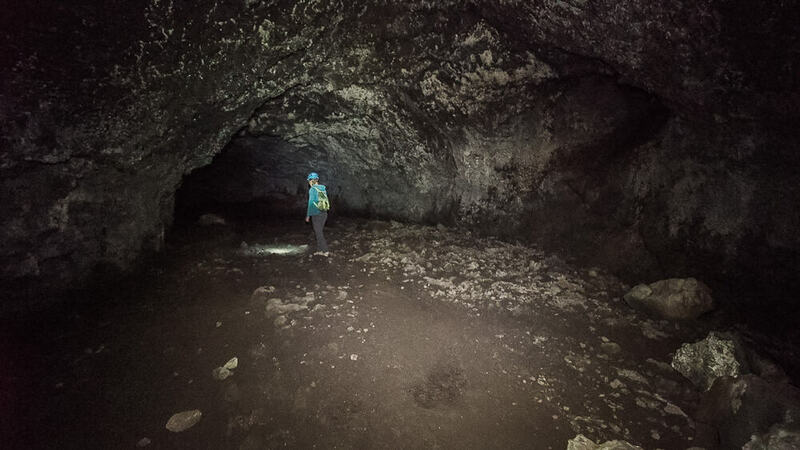 Setting out to explore these lava tubes, we didn’t really know what to expect. We knew there were three caves and one tunnel, and that was about all the info we had beforehand. So, we donned our cave exploration gear and set out. 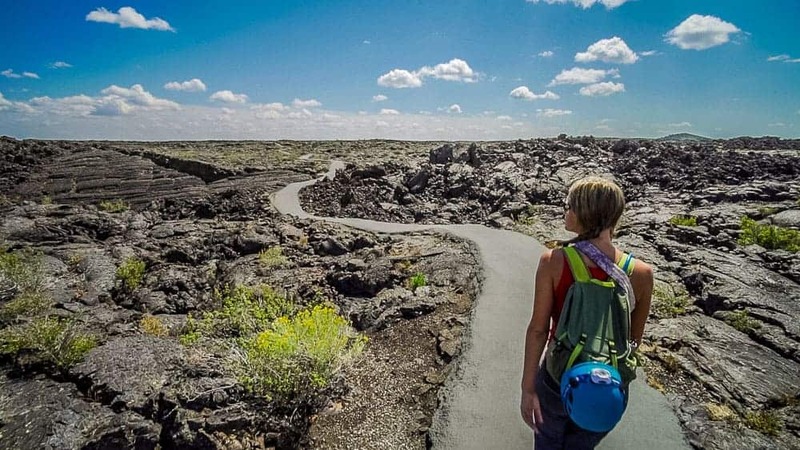 The pathway that connects all the lava caves is paved, and there are many people on the paths that are viewing the caves and not going into them. 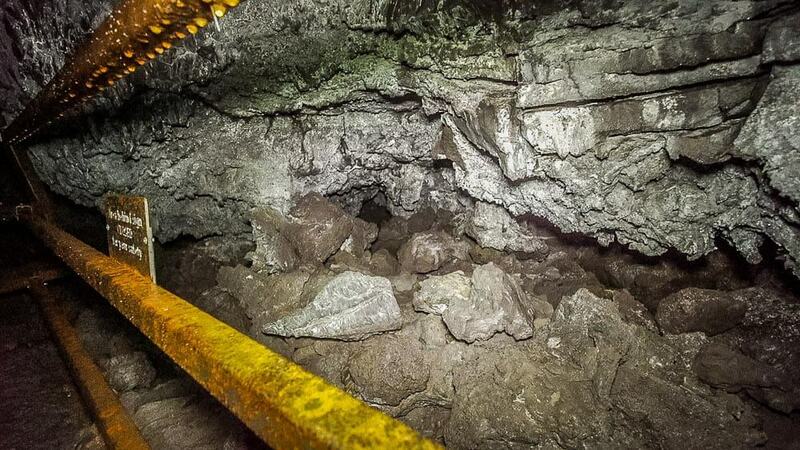 So, don’t be discouraged if you see large groups; they likely won’t be going into the caves. Once you get to the entrance of the caves, you can get off the path and down-climb into the mouth of the cave. Having proper safety gear is crucial to caving. During our trip to Craters of the Moon, we had a few people make snarky comments about the fact that we were wearing helmets in the caves. Those same people were the ones who had to turn back when the caves got tight – because they were not properly prepared. This recommended gear is just an overview, so be sure to do plenty of research on where you are going before you head out. If you’re properly prepared, you won’t have to miss out on an opportunity to explore! 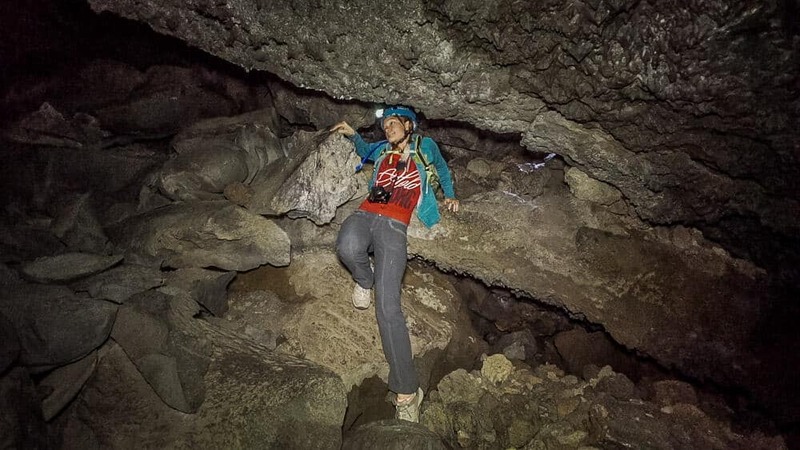 The first lava tube that we explored was called Beauty Cave. At the very end of the pathway, it is the largest cave of them all in terms of breadth. 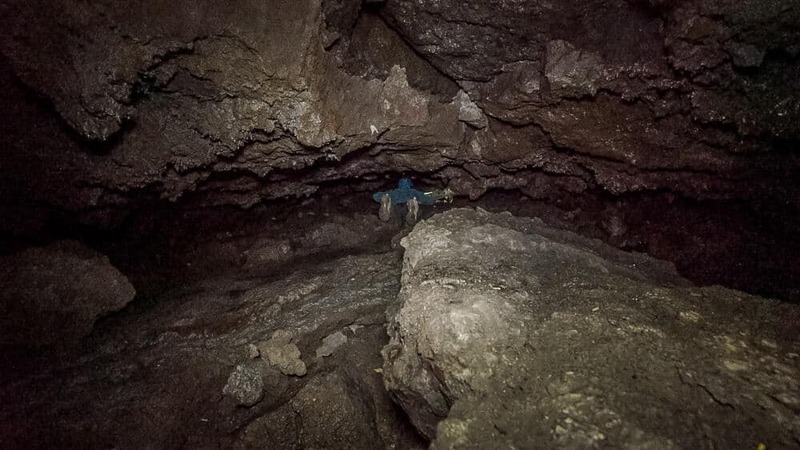 You can easily stand in this cave without fear of hitting your head. However, a recent rockfall blocked off the cave going back further, so you can only explore about 100 yards into the cave. The second cave, Boy Scout Cave, was much deeper to explore and you can actually come out a separate exit on the other side of this cave. 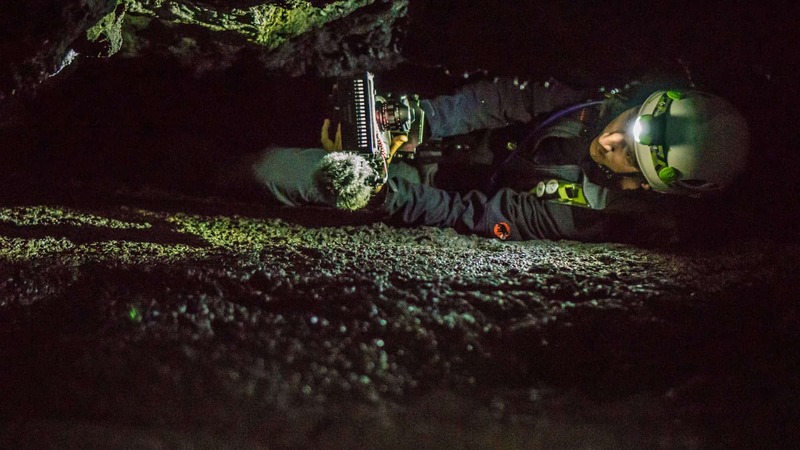 The mouth of the cave was a little tight, and we needed to downclimb into it. It opened up at the bottom, and then to go further into the cave we had to pass through a very tight passage. The passage was tight enough that I had to remove my pack while crawling through it. The cave again widened on the other side, where we could see the light from the exit. Dew Drop Cave had a huge mouth that made the cave feel as though it would be massive. However, that was a bit deceiving and the cave was just a very short walk to the end. Rocks had fallen from the ceiling and sealed off the lava tubes that went further back into the cave, so this was a very quick one to explore. The rock formations from the lava in this cave were spectacular. Many of the formations resembled a tree trunk or sets of tree roots, while others appeared as if they were covered in glitter. The stalactites on the ceiling gave this cave an eerie sort of look, as though the ceiling would drip down onto you at any point. Perhaps that’s the inspiration for the moniker of the cave. We actually didn’t go through Indian Tunnel the “normal” way; imagine that! There is a large staircase that leads down into the tunnel’s opening, and the typical pathway to the tunnel is to the left, where you walk through the huge lava tunnel to the staircase on the other side to exit. Instead of heading left, we noticed that there was another cave opening to the right, so we explored that way. The tunnel split off into a fork this direction, and we initially went to the left here, only to make it about 50 yards back before the cave was sealed off from what we could tell. After backtracking a bit and taking the right fork, we found two small entrances on either side of a rock fall. Nate took one side and I took the other to see how far we could make it up the two sides. Calling for Nate to see how close we were to each other, I realized that the two sides did, in fact, connect, albeit through a tiny opening. I passed my pack down to Nate and wiggled my way through the tight opening to where he waited. We both emerged from the point where he originally came through. Although I did make the full loop of that one, I’m not sure that many would be able to do it. Nate would’ve been too big to fit through the opening that I shimmied down through. But it was sure fun for me to do it! I must admit, after the first few snarky comments from park rangers and guests of the park, I didn’t have high hopes for Craters of the Moon. 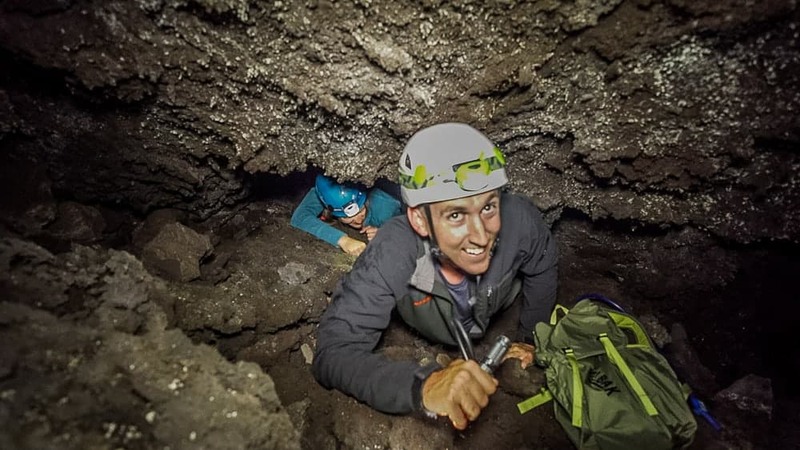 However, after pressing on through caves that others couldn’t explore due to lack of preparation, I felt as though the comments we endured were a small price to pay for the experience. Perhaps we educated a few people along the way on the importance of being prepared for anything!